School&apos;s out for the summer, and it&apos;s time to plan some adventures in Hendricks County, Indiana. While there are always tons of fun things to do, like bike riding on the B&O Trail or Vandalia Trail, or checking out one of Hendricks Couny&apos;s many local restaurants, I want to let you know about a few special events going on this weekend. One of my favorite places in Hendricks County is Danville&apos;s Courthouse Square. Every Saturday morning during the summer, the Danville Chamber of Commerce puts on a fantastic farmers market right on the square. Dozens of vendors set up in the quaint downtown from 8 a.m.-noon. 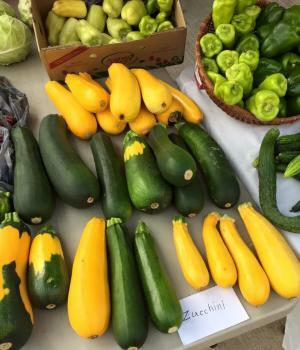 The farmers market kicked off May 12 and is now in full swing. Vendors include My Hunny&apos;s Honey, Neier Farms and Produce, Grandpa&apos;s Cedar Works, Kristi&apos;s Soap Market, Michael&apos;s Country Bakery and Cakes and many more. After the farmers market, head to Gallery on the Square for a fun jewelry-making activity. The gallery will have a variety of beads and charms available to make your own pair of earrings from 1-3:30 p.m. on Saturday. Cost is $10 for one pair and $15 for two pair. If you love art and great food, why not take this Saturday as an opportunity to check out a few stops on the Rural Routes to Main Street Cultural Trail? 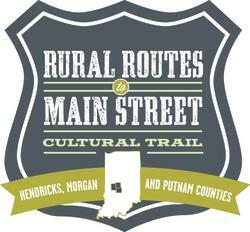 The trail includes businesses and restaurants in Hendricks, Putnam, and Morgan counties, and every second Saturday there are special activities at some of the sites, like the Gallery on the Square event above. For more information, click here. If you&apos;re looking for a great free and family-friendly activity, head over to the Avon-Washington Township Public Library for the Story Walk Read-A-Long from 9-11 a.m. Saturday. The walk starts at the library and will go through Avon Town Hall Park. During the walk, participants who are beginning readers to age 10 will get to show off their reading skills to local celebrities stationed along the trail. For more information and to register for the Story Walk, click here. Be sure to check out our Events Calendar for a full list of events anytime, and have a great weekend!